Good food is often thrown away because it has passed the date on the packet. 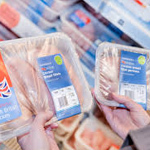 So the Government is planning to scrap ‘overly cautious’ Use By dates on food packaging in favour of ‘Best Before’ labels, when it’s safe to do so. This way people can choose whether to eat food after the date or give it to charity. The new guidelines, being written by the Food Standards Agency (FSA) and waste reduction charity WRAP, aims to reduce the 7.3 million tonnes of food thrown away in the UK each year. Two million tonnes of this food wasted from our homes happens because we don’t use it in time, and in many instances the date label is given as the reason why. The guidance, which will be published later in 2017, will also promoter proper food storage by giving clear advice on how to safely freeze and store food to prolong its life. According to WRAP, the average family throws away almost £60 of good food every month, which could be perfectly edible days after the dates on the packet, especially if stored correctly. Pac ‘n Vac vacuum food storage containers are scientifically proven to keep food fresher for 8 days longer than standard plastic airtight boxes. They work by using a patented vacuum valve system, which expels air and inhibits microorganism growth. This creates a far more sterile environment than simple airtight seals offer. All you do is press on the lid to remove the excess air and vacuum seal. Pac ’n’ Vac containers also come with a ‘Day Dot’ indicator so you can track when you stored the food, or they day it should be used by.